TV with Thinus: E! unveils a new E! Africa TV commercial to celebrate its presence of 15 years on the continent; 'it was like a proper film set,' says Roxy Burger. E! unveils a new E! Africa TV commercial to celebrate its presence of 15 years on the continent; 'it was like a proper film set,' says Roxy Burger. E! 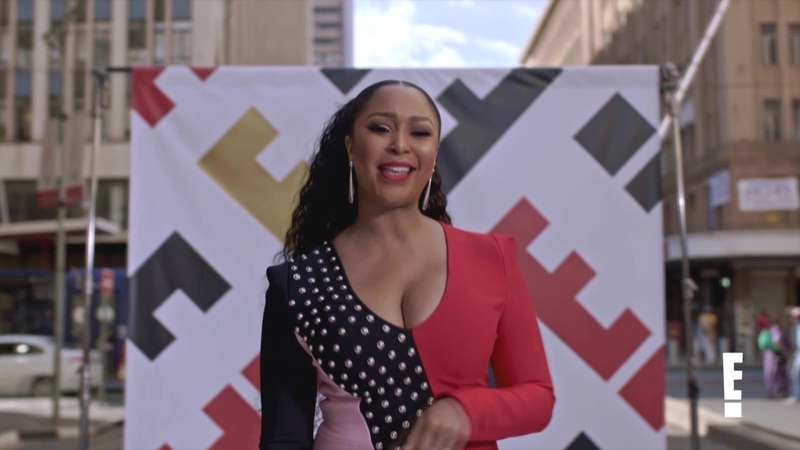 Entertainment (DStv 124) filmed and has launched a brand-new TV promo including Bonang Matheba, Minnie Dlamini, Roxy Burger, Kat Sinivasan, beatboxer Tina Redman and Nigerian rapper D'banj as part of a marketing campaign to celebrate the 15th anniversary of the presence of the channel from NBCUniversal International Networks (NBCUIN) in South Africa and across Africa. Lee Raftery, NBCUniversal International Networks content and marketing boss for the Africa region, unveiled and played the TV promo at the #15YearsOfE in Africa celebration party that took place on Thursday night at the Alice & Fifth underground avant-garde nightclub at the Sandton Sun Hotel in Johannesburg where celebrities, TV executives and the media mingled. The #LoveELiveE brand campaign comes after NBCUIN did the first-ever E! Africa Pop Culture Awards giving 7 E!-trophies to South African and Nigerian stars. Besides the South African and Nigerian star, the TV promo also includes the E! News co-anchor Giuliana Rancic, the Keeping Up with the Kardashians star Kim Kardashian and Dr Terry Dubrow and Dr Paul Nassif from the Botched reality show. In the new promo spot, the E! talent appear in the brand commercial that gives the smartphone a prominent and central place - the device that has propelled and forced channels like E! to adapt to the avalanche of quickly-available entertainment news content now available, but also creating a new opportunity to use and leverage the content now being generated by social media users themselves. In a press statement quote hand-out to media, Lee Raftery, managing director for the United Kingdom and emerging markets and chief marketing and content officer at NBCUniversal International, said "As we mark our 15 year anniversary in Africa, in partnership with DStv, the #LoveELiveE brand campaign celebrates our passion for all things entertainment and celebrity – in a way that only E! Africa could do – by combining best-in-class talent from Hollywood and Africa". "E! has a very exciting year ahead with the recent announcement of our new local commission, Celebrity Game Night, airing late-2019 with more details to follow in the coming months." Roxy Burger, co-host of How Do I Look? South Africa at Thursday night's E! party event told TVwithThinus that "it was absolutely incredible to be in this TV commercial for E! Africa". "Filming this E! TV commercial was so much fun - I think the level and standard of what we did was just amazing. It was like a proper film set, you know!" "So for me as someone coming from and working in television, I'm not used to these fancy things, so it was amazing. And to share the E! stage with people like Minnie Dlamini, Bonang Mathema and D'banj was an honour and really cool." Kat Sinivasan, co-host of How Do I Look? South Africa and E! 's Africa correspondent, told TVwithThinus that filming the E! TV commercial was "fantastic and spectacular", done really professionally and on a large scale. Minnie Dlamini told TVwithThinus "It was really fun, it was actually really painless. We did it super, super quick - almost like a 'one-take wonder'. It was really, really fun!" A planned NBCUI interview with Bonang Matheba on Thursday didn't work out and wasn't possible. ALSO READ: IN IMAGES. 37 photos from inside E! 's party to celebrate 15 years of the channel from NBCUniversal International Networks in South Africa and Africa on MultiChoice's DStv.ALSO READ: MultiChoice content boss, Aletta Alberts, on 15 years of E! 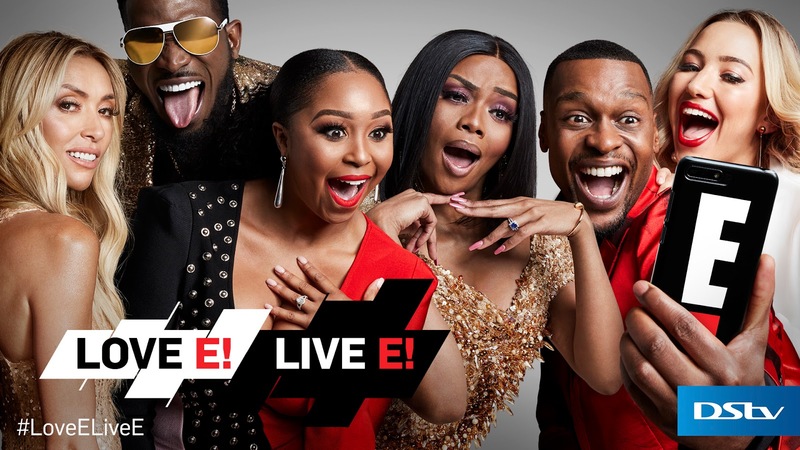 from NBCUniversal International Networks on DStv: 'Africans will continue to be part of the E! story'. 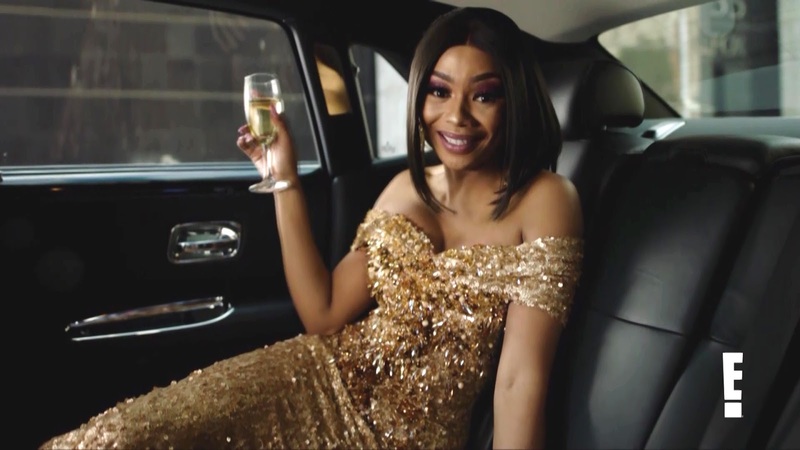 ALSO READ: Bonang Matheba, Minnie Dlamini and Lasizwe panned over red carpet fashion choices, Nomzamo Mbatha and Aisha Baker praised for E! Africa's 15th birthday celebration.